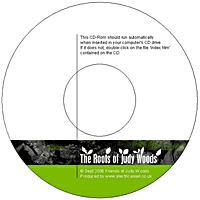 Roots of Judy Woods CD: Sold out! 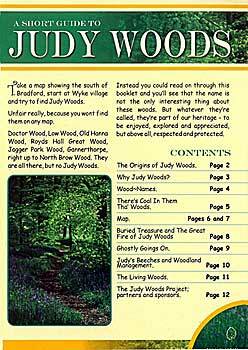 This excellent CD contains all the reports and information gathered as part of the Roots of Judy Woods project. 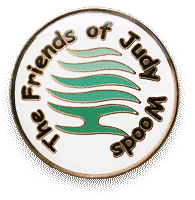 Enamel badges with The Friends of Judy Woods colour logo on (see top of page) are available at £1.00 each. These are available as a 6" x 4" postcard. We charge 30p each or 4 for a £1.00. There is space on the reverse for a message and an address. 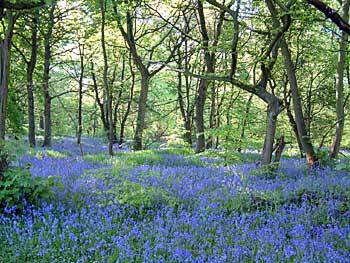 Any profits from merchandise goes towards the projects of The Friends of Judy Woods (education, events etc). Please contact The Friends of Judy Woods via their mailing address at Wyke Library or email on info@judywoods.org.uk if you would like to make an order or require further information.